Relax and escape from your busy life with a full body massage. We have a in-house professional massage therapist with a full range of modalities to relax your body and mind. A great way to escape and recover from the stresses of life. Treat yourself to a Swedish, hot rock, or deep tissue massage today! SWEDISH MASSAGE – One of the best known types of body massage around today, the primary goals of a Swedish massage is to sooth and relax the entire body. This is accomplished by simply massaging your muscles in the direction of blood returning to the heart. A Swedish massage increases oxygen levels in the blood while decreasing muscle toxins, and generally improving circulation and flexibility. HOT ROCK MASSAGE – Nothing is quite as satisfying as a hot rock massage on a bitter cold day. The use of hot stones melts away stiffness and tension in your muscles. Hot stones are heated to just the right temperature for a soothing and enjoyable massage experience that will increase circulation and boost your metabolism. 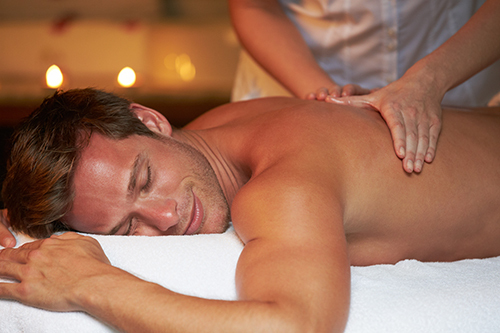 DEEP TISSUE MASSAGE – A deep tissue massage is a great way to heal those tight and stiff muscles. Using the palms of the hands, elbows, and forearms, a deep tissue massage provides relief from chronic stiffness and muscle tension. This technique naturally reduces stress hormone levels and heart rate while boosting your mood and providing deep relaxation.